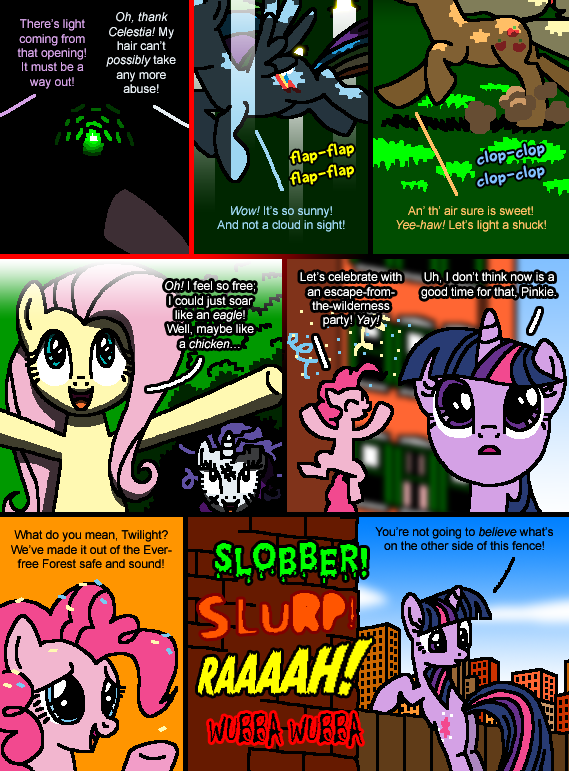 While trying to find a way out of the Everfree Forest, Twilight Sparkle and her friends stumble upon a fantastic street (thanks to Pinkie Pie's sub-sub-sub-sub-sub-sub-shortcut) where anything can happen! 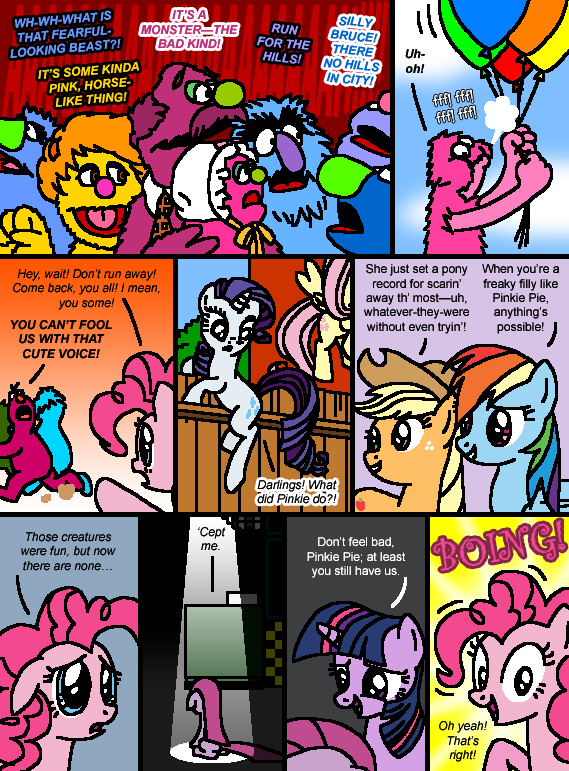 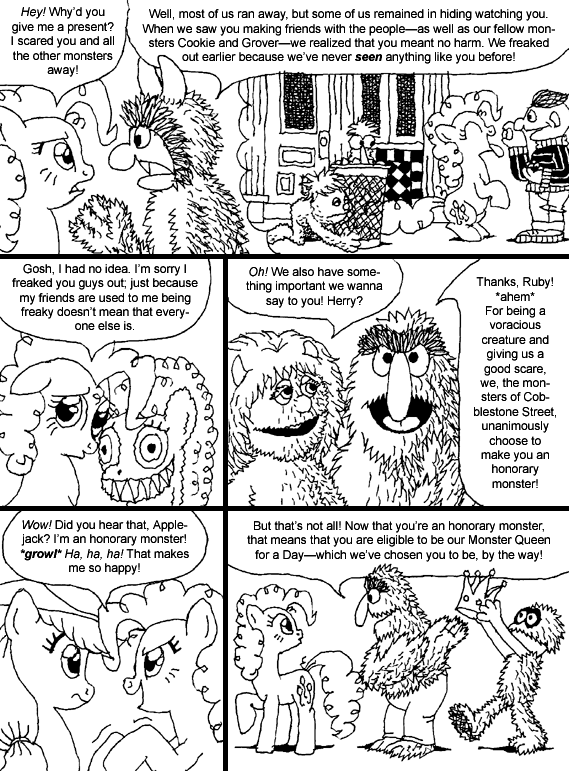 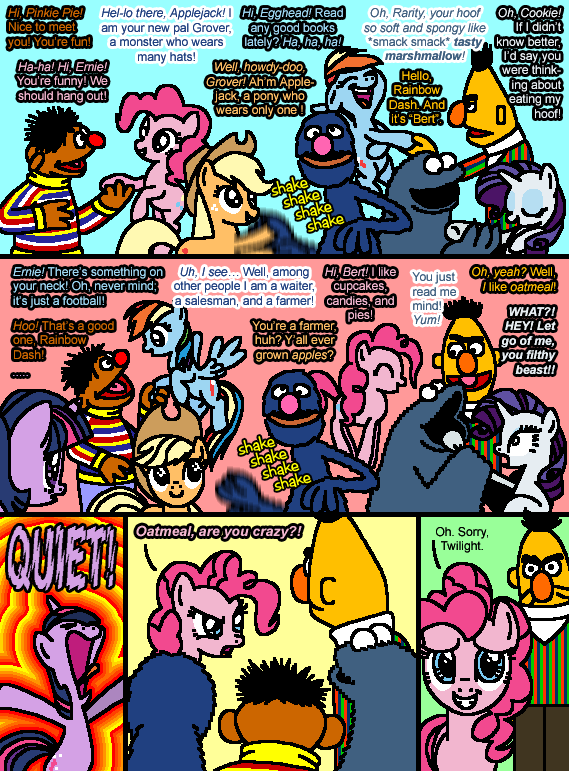 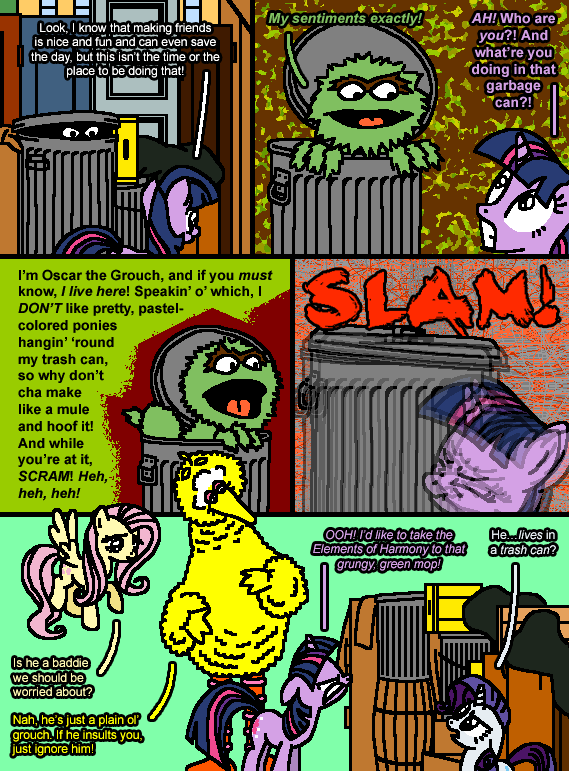 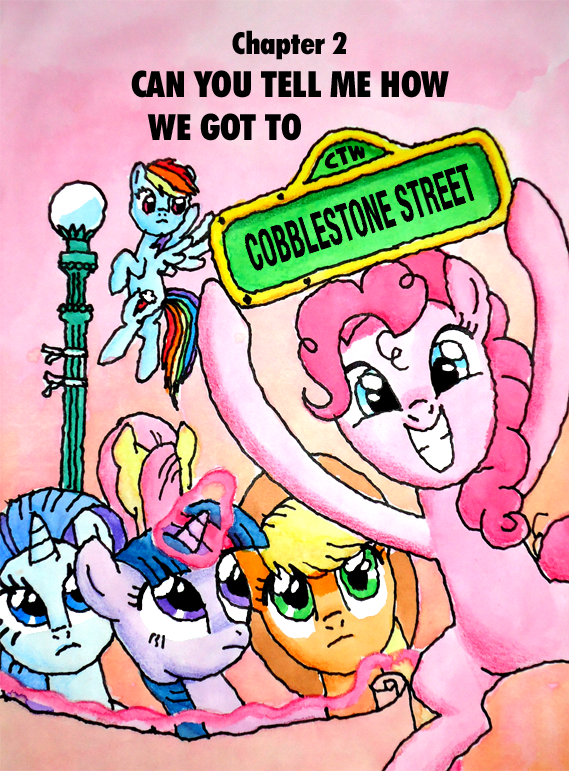 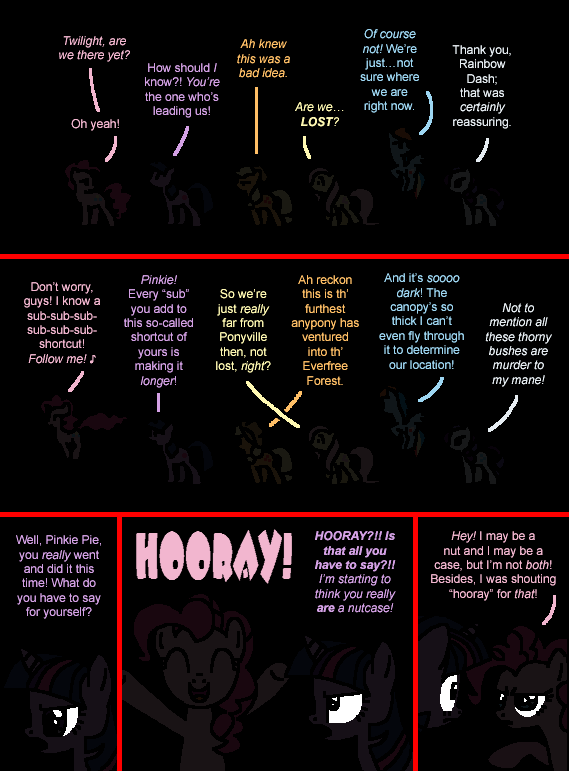 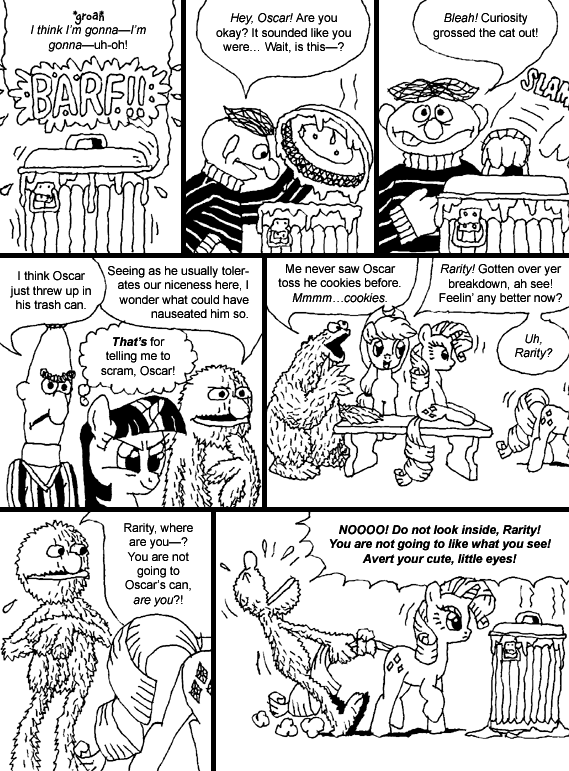 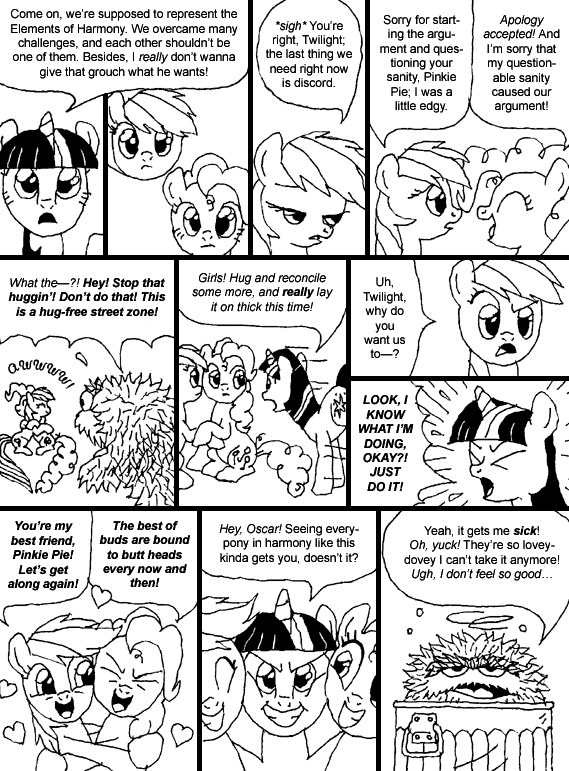 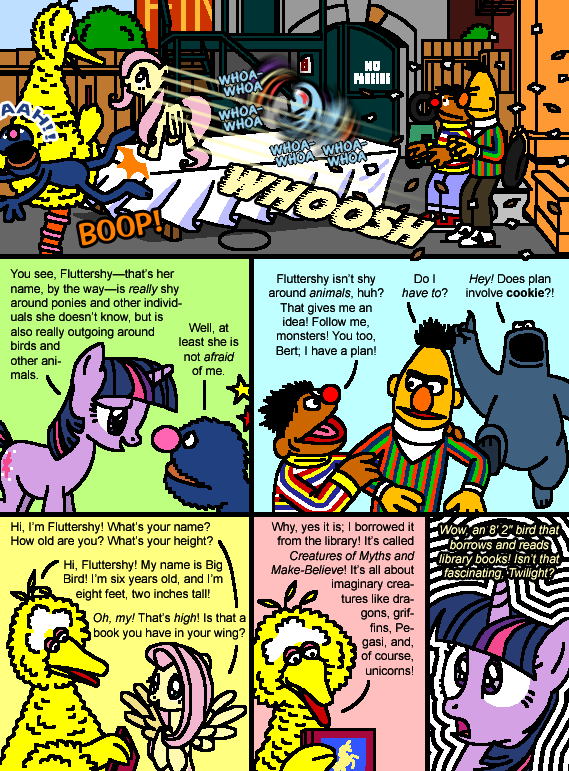 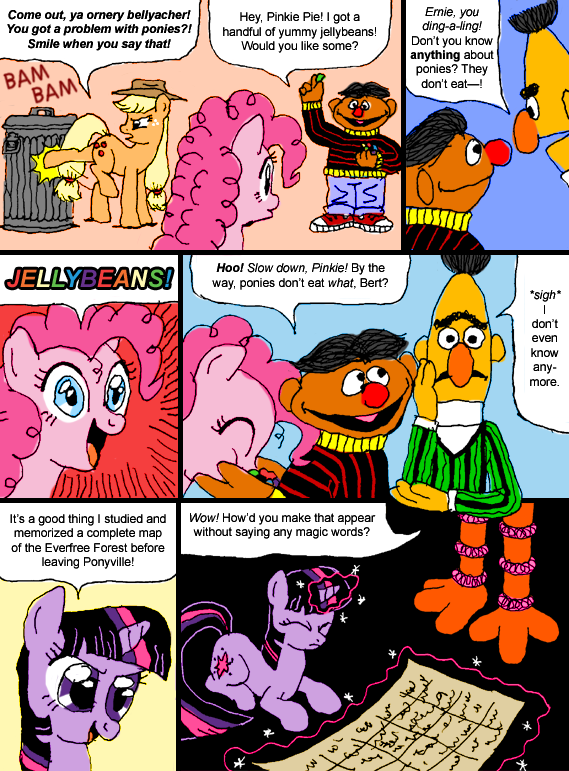 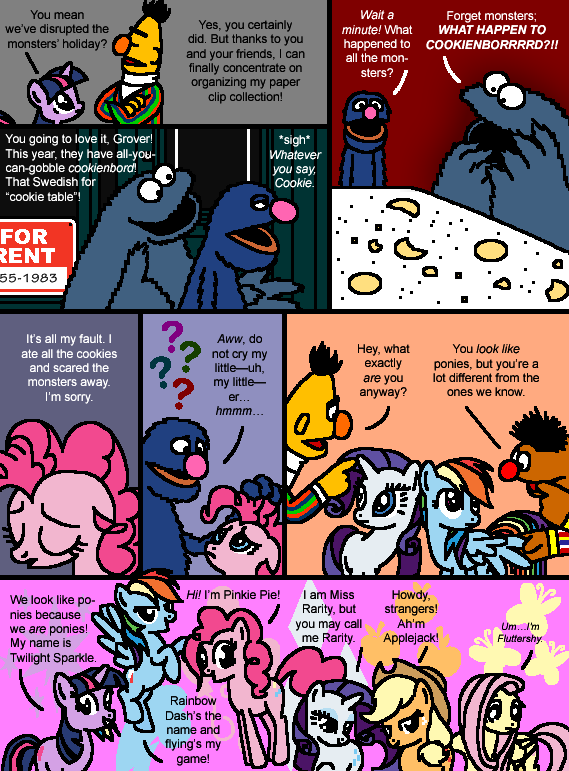 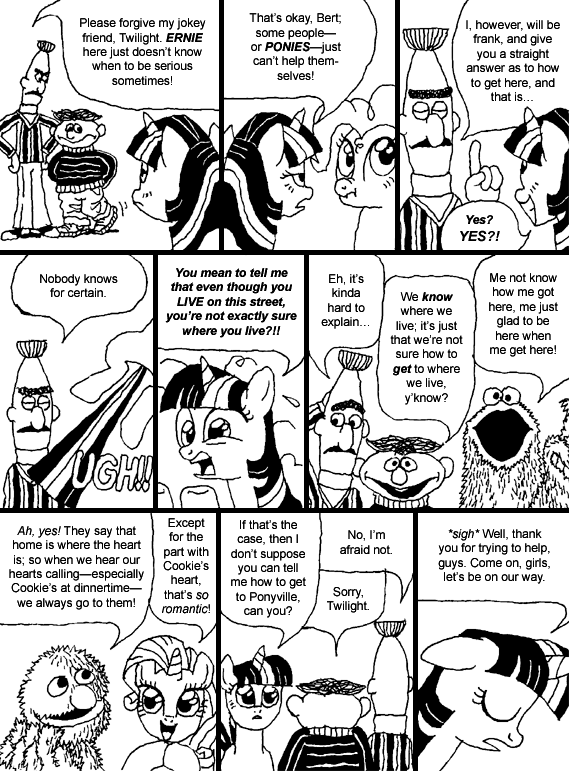 DISCLAIMER: This My Little Pony comic is intended for bronies and does not suit the needs of any preschool child. 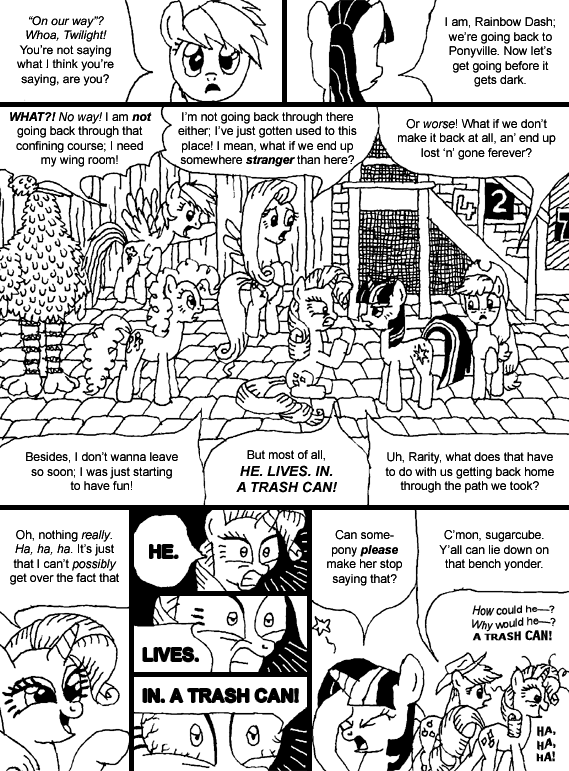 That's the end of Issue #1/the first 30 pages. 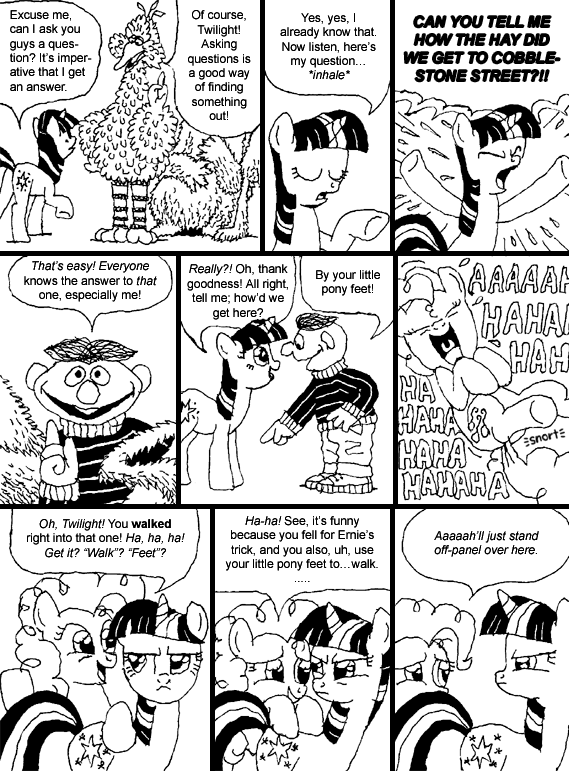 I hope you were entertained by these comics as I was. 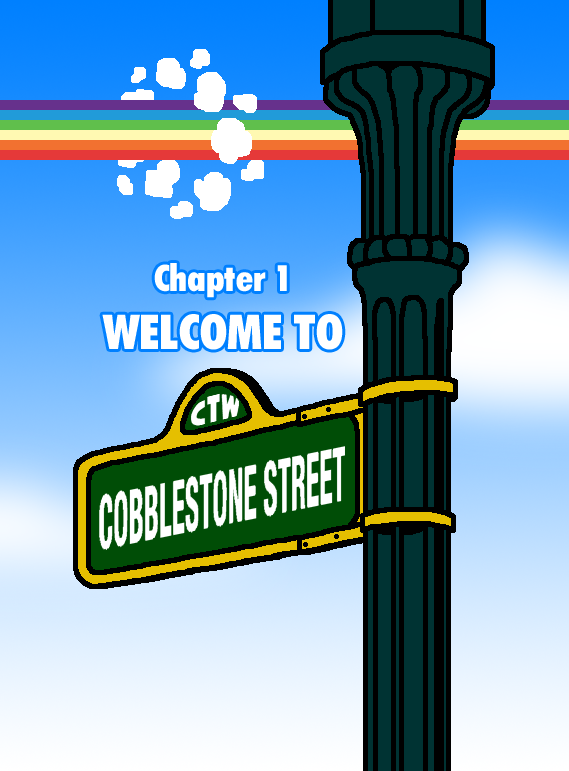 By the way, nice site you have here; looks like my kinda place!